In published works (see here, here, here, and here), baptists have pointed out that Owen’s covenant theology, as articulated in his commentary on Hebrews, departs from Westminster Federalism and aligns very closely with 1689 Federalism. However, as this information has begun to reach wider audiences and become general knowledge, many people have not taken the time to understand the claims. For example, I continue to see people post links to Owen’s tract on infant baptism and to Lee Gatiss’ articles at Ref21 (the ones he wrote against Denault’s book without bothering to read Denault’s book), thinking that this addresses the claim. None of these people demonstrate they understand why baptists reference Owen, yet they are content to dismiss any such appeal as unfounded. I am disappointed by this, not simply because I want to win an argument, but because I genuinely value the opportunity to discuss with people I disagree with. Iron sharpens iron. But a discussion requires both parties to listen when the other speaks. Please take the time to listen to this summary. If you are then interested in discussing the claim, please take the time to read the published works. If you don’t have time, please don’t bother forming an opinion on the matter. Both 21st century baptists and 17th century baptists know that John Owen was a paedobaptist. No one has claimed that Owen was ever a baptist, even secretly. Owen self-consciously departed from the Westminster/Calvin/reformed view of covenant theology. Baptists appeal to him because he demonstrates that Westminster federalism, following Calvin, is unbiblical. Implication of 1 & 2: Contra Westminster, there are more than two covenants in Scripture. Therefore the claim that every covenant after the fall must be the Covenant of Grace is incorrect (according to Owen). This was the central crux of Owen’s 150 page exegesis of Hebrews 8:6-13, not a passing comment that can be dismissed. Implication: Membership and ordinances of the Abrahamic Covenant do not determine membership and ordinances of the Covenant of Grace. Implication: No ordinances in the Old Testament (i.e. circumcision) were ordinances of the Covenant of Grace. The only ordinances of the Covenant of Grace are the ordinances of the New Covenant. Owen said the privilege of the carnal seed, and the worship associated with it, ceased at the coming of Christ. “That this privilege was temporary, having a limited season, time, and end, appointed unto it, the very nature of the thing itself doth demonstrate; for upon this actual exhibition in the flesh, it was to cease… It is true, they were the children of Abraham according to the flesh: but on that account they can have no other privilege than Abraham had in the flesh himself; and this was, as we have showed, that he should he set apart as a special channel, through whose loins God would derive the promised Seed into the world. In like manner were they separated to be a peculiar people, as his posterity, from amongst whom He should be so brought forth. That this separation and privilege was to cease when the end of it was accomplished and the Messiah exhibited, the very nature of the thing declares; for to what purpose should it be continued when that was fully effected whereunto it was designed?… Seeing, therefore, that their other privilege was come to an end, with all the carnal ordinances that attended it, by the actual coming of the Messiah, whereunto they were subservient, if they did not, by faith in the promised seed, attain an interest in this of the spiritual blessing, it is evident that they could on no account be considered as actual sharers in the covenant of God… It is true, the former carnal privilege of Abraham and his posterity expiring, on the grounds before mentioned, the ordinances of worship which were suited thereunto did necessarily cease also… (1.) The carnal privilege of the Jews, in their separation to bring forth the Messiah, then failed; and therewith their claim on that account to be the children of Abraham. Implication: The relationship of Abraham’s carnal seed to Abraham has no relevance after the coming of Christ. Implication: Abraham’s carnal seed, as such, have never been the church. Implication: The idea that the Abrahamic Covenant, in its substance, was made with the elect, but in its administration it was made with non-elect (Rom 9:6), is incorrect. The substance of the Abrahamic Covenant was made with Abraham’s carnal seed. The two Israels of Rom 9:6ff refer to two different covenants. Implication: Israel was not the church. Implication: The nature of membership in the Old and New Covenants differs. The idea of a two-sided membership in the Covenant of Grace, founded upon a substance (elect)/administration (non-elect) view of the Abrahamic and Old Covenants (Rom 9:6), is incorrect. Implication: We enter the Covenant of Grace/New Covenant in the effectual call. See New Covenant Union as Mystical Union in Owen. Implication: There are no such things as covenant-breakers in the New Covenant, as there were in the Old (Mosaic and Abrahamic). Implication: Appeal to the Old Covenant to answer questions about union with Christ is unbiblical and inappropriate. Owen continued to affirm paedobaptism. Owen never published his “Of Infant Baptism” tract. Owen scholar Dr. Crawford Gribben notes “The only thing we can be sure of about “Of Infant Baptism” is that Owen did not publish this tract within his own lifetime, that it did not circulate as representing his thinking on this issue for almost 40 years after his death when it appeared in a volume alongside many other texts reconstructed from sermon notes taken by an auditor.” The statements in this tract do not reflect Owen’s mature, meticulously argued published work on covenant theology. Whatever value this tract of dubious origin may have, it does not have precedence over his Hebrews commentary, which must be dealt with. Please listen to Dr. Gribben’s lecture. Owen’s “Of Infant Baptism” contradicts his Hebrews commentary. “Of Infant Baptism” speaks throughout of “the covenant” in the singular. In his Hebrews commentary, Owen rejects this approach and proceeds to distinguish between post-fall covenants in great detail. “Of Infant Baptism” refers to the Mosaic Covenant as “the covenant [of grace] in its legal administration.” In his Hebrews commentary, Owen rejects this view. “Of Infant Baptism” says the Covenant of Grace was confirmed and sealed in Exodus 24:7-8. In his Hebrews commentary, Owen denies that the Old Covenant was the Covenant of Grace. “Of Infant Baptism” says the Covenant of Circumcision was the Covenant of Grace made with Christ mystical. In his Hebrews commentary, Owen distinguishes between these two and denies the Gen 17:7 covenant was the Covenant of Grace made with the elect, though it contained a promise of it. “Of Infant Baptism” says the circumcision of Abraham’s offspring was a spiritual privilege of “the covenant.” In his Hebrews commentary, Owen says that the Covenant of Circumcision pertained to the “carnal privilege” given to his “carnal seed,” not the “spiritual privilege” given to his “spiritual seed” (in the Covenant of Grace). “Of Infant Baptism” says the privilege of carnal offspring has never been revoked. In his Hebrews commentary, Owen says the privilege of Abraham’s carnal offspring ceased at the coming of Christ. “Of Infant Baptism” says the sign of circumcision was never revoked, only changed. In his Hebrews commentary, Owen says the carnal ordinances came to an end/ceased and were replaced by new ordinances. “Of Infant Baptism” says according to the law of creation, children have a right to the privileges of whatever covenant their parents are in. In his Hebrews commentary, Owen says Abraham’s carnal offspring never had any spiritual privilege because they were his carnal offspring, and that this was the great mistake of the Jews – though they did have carnal privileges. He also says that anyone destitute of saving knowledge is an utter stranger unto the covenant of grace and without saving knowledge there is no interest in the New Covenant, unlike the Old. Owen affirmed paedobaptism elsewhere in his Hebrews commentary. Notice carefully what Owen affirms here. He maintains his position that there was a two-fold seed of Abraham with a two-fold privilege. The Hebrews were in covenant with God on account of their being Abraham’s carnal seed. That privilege has ceased (“could no longer retain it”). They may still be considered “the people of God” but “on a new account”: faith. Owen’s argument for infant baptism here reduces to the meaning of the phrase “a people.” He argues that the Hebrews would not have to change their conception of what it means to be “a people” because “a people” must necessarily be taken in an earthly sense (even though referring to believers) and therefore must include physical offspring. But there is no reason why “a people” cannot be read in a spiritual sense as referring to Christ’s spiritual kingdom – and every reason why it must be. This is a continuation of the above argument (2 pages later). Two things to consider. First, recall that Owen refined his view of the Abrahamic Covenant 6 years later (1674 -> 1680) in his commentary on Hebrews 8, noting that although the Abrahamic Covenant contained a promise of the future establishment of the Covenant of Grace (Abraham’s spiritual privileges), it was formally a covenant concerning Abraham’s carnal privileges. Second, Owen previously explained that the inclusion of Abraham’s carnal seed in his covenant was only a carnal privilege, not a spiritual one. “It is true, they were the children of Abraham according to the flesh: but on that account they can have no other privilege than Abraham had in the flesh himself; and this was, as we have showed, that he should he set apart as a special channel, through whose loins God would derive the promised Seed into the world. In like manner were they separated to be a peculiar people, as his posterity, from amongst whom He should be so brought forth.” (Oneness of the Church p.175 PDF). So there never was a privilege given to believers to have their children included in covenant with them and thus no privilege has been lost. There was only the carnal privilege given to Abraham to have his children included in his carnal privilege. Finally, note in the previous quote that Owen says Abraham’s carnal seed were “a peculiar people” by virtue of their carnal descent alone, apart from faith – which has now ceased. As above, according to Owen’s explanation of Abraham’s two-fold privilege corresponding to a two-fold seed, there was never any spiritual privilege given to believing Abraham to have his children in covenant with him. That was a carnal privilege given to Abraham according to the flesh, which has now ceased. That privilege was never given to the church. See above. God never gave circumcision to the seed of believers and Owen said carnal ordinances ceased along with the carnal seed. See above. Circumcision was given to the carnal posterity of Abraham on account of Abraham’s carnal privileges, which has ceased. Owen affirmed paedobaptism in True Nature of the Gospel Church (which was written sometime in the latter half of his life and published posthumously). “(3.) Children do belong unto and have an interest in their parents’ covenant; not only in the promise of it, which gives them right unto baptism, but in the profession of it in the church covenant, which gives them a right unto all the privileges of the church whereof they are capable, until they voluntarily relinquish their claim unto them. (4.) Baptizing the children of church members, giving them thereby an admission into the visible catholic church, puts an obligation on the officers of the church to take care, what in them lieth, that they may be kept and preserved meet members of it, by a due watch over them and instruction of them. (5.) Though neither the church nor its privileges be continued and preserved, as of old, by carnal generation, yet, because of the nature of the dispensation of God’s covenant, wherein he hath promised to be a God unto believers and their seed, the advantage of the means of a gracious education in such families, and of conversion and edification in the ministry of the church, ordinarily the continuation of the church is to depend on the addition of members out of the families already incorporated in it. The church is not to be like the kingdom of the Mamalukes, wherein there was no regard unto natural successors, but it was continually made up of strangers and foreigners incorporated into it; nor like the beginning of the Roman commonwealth, which, consisting of men only, was like to have been the matter of one age alone.” (Kindle Locations 417-427). See above. Here Owen acknowledges that carnal privileges via carnal generation have ceased. God’s promise to be a God to Abraham’s seed has a two-fold fulfillment: one to each of his two seeds. As Owen has said above, Israel was made a peculiar people to God on account of their carnal descent from Abraham, not on account of spiritual descent from Abraham, and that privilege ceased at the coming of Christ. That is why 17th century and 21st century baptists have appealed to Owen’s covenant theology while knowing full-well he was still a paedobaptist. 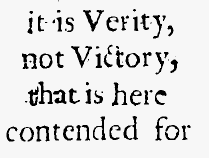 –Edward Hutchinson, A Treatise Concerning the Covenant, 1676, quoted in Samuel Renihan’s JIRBS 2015 article “DOLPHINS IN THE WOODS”: A Critique of Mark Jones and Ted Van Raalte’s Presentation of Particular Baptist Covenant Theology, a must read for anyone studying this debate. There are strong tendencies in Owen’s thinking on the Covenant of Grace to restrict it just to Christ and his elect. Owen is a paedobaptist. But there is a lot in Owen’s thinking that I think pushes in a Baptistic direction. For Owen, the visible manifestation of the Covenant of Grace is not entirely clearly worked out in terms of children being embraced (as I read him). It’s not an area I have looked at in great detail, but I see tendencies in Owen’s ecclesiology and his understanding of the covenants that push it in a Baptistic direction. When the new covenant was given out only in the way of a promise, it did not introduce a worship and privileges expressive of it… That which before had no visible, outward worship, proper and peculiar unto it, is now made the only rule and instrument of worship unto the whole church, nothing being to be admitted therein but what belongs unto it, and is appointed by it. This the apostle intends by νομοτηετεο, the “legal establishment” of the new covenant, with all the ordinances of its worship… But so the covenant of grace was not under the old testament; for God did require of the church many duties of worship that did not belong thereunto. But now, under the new testament, this covenant, with its own seals and appointments, is the only rule and measure of all acceptable worship. The knee-jerk reaction is that baptists must be reading Owen wrong. There is no way he could mean what he said. That would entirely undermine the grounds for infant baptism. However, an alternative perspective is that Owen meant exactly what he said, but the issue of baptism was not his primary concern. If it was, he would not have stated things so boldly. However, as a Congregationalist, Owen’s primary concern at this point was to demonstrate that the government of the church of Christ is to be found in the New Testament, not in the Old via Israel. The analogy betwixt Jewish & Christian church, little question of that little question… If this faile, the argument of Baptisme from circumcision will faile also… For that we must not looke to the state of the Jewish church, is only a warrantableness for the analogy of the Old Testament & New, granted. The brother that spake last said before we must cut loose the argument of Jewish church; [for] but how shall we prove pedo-Baptism? (See Goodwin vs. Gillespie: An Old Testament Debate for Church Polity).